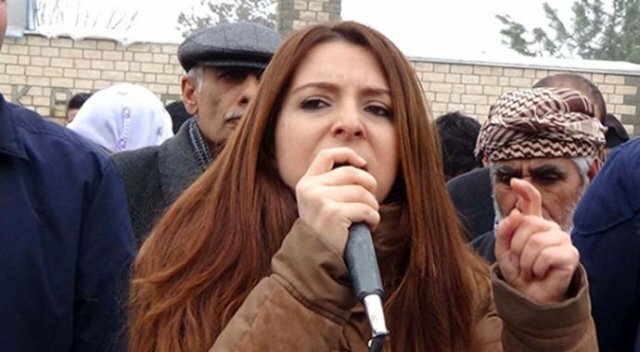 Burcu Çelik, a deputy from the pro-Kurdish Peoples’ Democratic Party (HDP) who has been behind bars since April 19, has applied to the administration of Sincan Prison in Ankara to keep her 3-year-old daughter with her in prison, Turkish media reports said on Wednesday. Çelik’s daughter Asmin Mira has reportedly been overwhelmed by the absence of her mother and the lack of opportunity to hug and kiss her during closed prison visits when visitors are separated by glass and cannot make physical contact. HDP deputy group chairman Filiz Kerestecioğlu raised the situation of Çelik’s daughter during a speech at the party’s parliamentary group meeting on Tuesday. “The three-year-old daughter of our Muş deputy will go to prison. Today, there are 560 children incarcerated with their mothers in prisons. This figure will rise to 561 in a few days because Muş deputy Burcu Çelik has applied to the prison administration to keep her daughter with her in prison,” said Kerestecioğlu. According to Turkey’s Justice Ministry, a total of 560 children under the age of 6 are staying in Turkish prisons along with their mothers. Responding to a parliamentary question from main opposition Republican People’s Party (CHP) deputy Gamze İlgezdi, the ministry recently said the number of children staying with their mothers behind bars had reached 560 as of April. Children are taken to prison in the absence of family members to look after them. The Turkish government has launched a sweeping crackdown across the country, detaining more than 140,000 and jailing some 50,000 over alleged or real links to a July 15, 2016 coup attempt. In the meantime, there are currently 10 HDP deputies who are behind bars including the party’s Co-chairpersons Selahattin Demirtaş and Figen Yüksekdağ.